A man who might be best known to many Utahns for his portrayal by the actor Sean Penn in the 2009 film Milk, now has a street named after him in Salt Lake City. 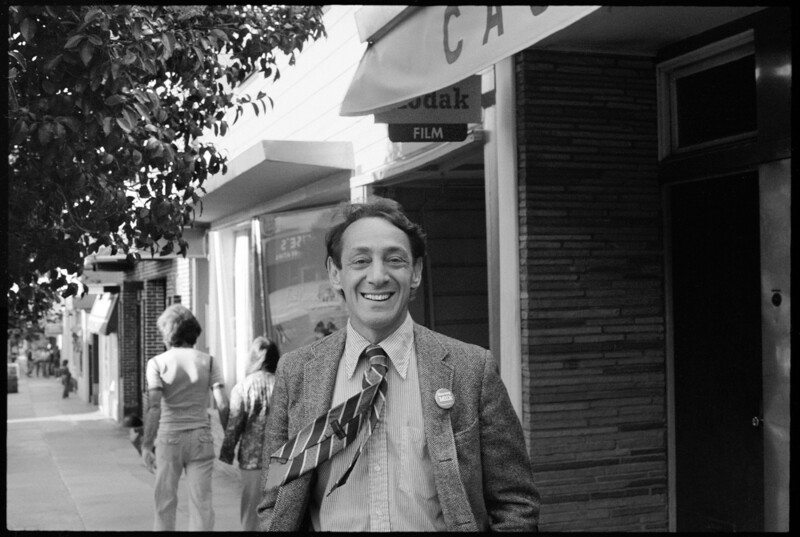 Harvey Milk, the San Francisco supervisor (that city’s equivalent of a city council member) and gay rights activist who was gunned down in the city offices in 1978, is the new namesake of 900 South. The Salt Lake City Council on Tuesday unanimously approved the name change, which is symbolic, meaning that the street will retain the name of 900 South as well. Milk’s name joins those of other notable activists across the country who have a Salt Lake City street named in their honor, including Dr. Martin Luther King Jr. (600 South), Rosa Parks (200 East) and Cesar Chavez (500 South). Gay rights activists and others in support of naming 900 South in honor of Milk ranked his name among these other historic figures. Naming a street in Milk’s honor “will send a loud message that Salt Lake City values inclusion,” Williams continued. While most of those who addressed the city council spoke in favor of the name change, several people told the council that they’d like to see a Utahn honored instead of Milk, who was born in New York and served less than a year as an elected official. “We should really look at our own heritage here in this great city,” said David Wirthlin. While Salt Lake City’s street names—numerals laid out in a grid—could seem staid when compared to another city where thousands of streets read like pages from a high school yearbook, they are nevertheless names. Some residents said 900 South is a street that is well recognized, with its vibrant 9th and 9th neighborhood, and emerging pockets of vibrancy to the west, including the Central 9th neighborhood. Both carry the street’s number in its name. Ultimately, though, the emotional pleas from supporters of the name change, as well as that of District 3 City Councilman Stan Penfold, who had led the effort, appeared to stifle any opposition that may have existed on the council. Any costs associated with renaming the street, Penfold said, will be carried by Equality Utah, which intends to launch a crowdfunding effort. Williams said the cost of adding Milk’s name to signs along the street is expected to be around $9,000. Ralph Pahnke, who spoke against the name change, said after the meeting that he was “very disappointed” with the vote. Even if one doesn’t know who Milk was, Kate Kelly, an attorney who is known for advocating for the inclusion of women into all-male priesthood of The Church of Jesus Christ of Latter-day Saints, said anyone who passes by 900 South can look him up. “I think people who don’t know about Harvey Milk should learn about him,” she said. Although Milk’s time in the public spotlight was short, his murder made him a martyr for the gay rights community. San Francisco Mayor George Moscone was shot to death in the same incident. Many speakers said Milk’s story empowered them to live their lives out in the open, and they hope a street in Salt Lake City, symbolically named or not, will help others. Milk’s name, Williams said, fits right in with others whose names grace the green street signs of Salt Lake City.